Feature Documentary Balentes - The Brave Ones is screening in Palace Cinemas across Australia! 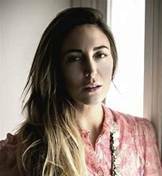 The Sardinian Cultural Association-Melbourne (SCA) is proud to announce that Italo (Sardinian)-Australian Film Director, Lisa Camillo brings her controversial feature film documentary “Balentes/The Brave Ones” to Australia, for 33 screenings. These will take place at the "Palace Cinemas" in the major cities, as part of the extremely popular "Lavazza Italian Film Festival", where she will also be one of the Festival's accredited Judges. This exciting latest development follows the documentary's extremely successful 1st. worldwide screening, including a "Q & A" Forum, organised by the SCA and the Italian Network of Melbourne, at the Italian Institute of Culture in April this year. The SCA and Lisa once again look forward to your support towards this widely acclaimed documentary. The more people see the documentary, the more can be done to save Sardinia's wonderful fragile environment from further damage, by creating a world-wide movement of "Balentes". Such movement will go a long way to helping the people affected by the very real environmental and economic injustices, still happening today, all which are motivated by political and other greed and self-interests, as portrayed by the documentary. It all began in Australia, and it is here that “Balentes/The Brave Ones” will have its formal premiere with 33 screenings between Melbourne, Sydney, Canberra, Brisbane, Adelaide and Perth. Lisa, brings her daring and controversial film back to where it was born and developed. A revealing feature documentary, which breaks the long silence on the exploitation by the Italian Government of its Sardinian island, treated as one big firing and bombing range. It was a courageous choice that of Lisa, to produce such a whistle-blower documentary, which will cause a big stir in Italy, and which begins its distribution in Australia by Palace Cinemas at the nineteenth edition Lavazza Italian Film Festival (www.italianfilmfestival.com.au). “Balentes”, a long and laborious four years of filming between Sardinia and Australia, is an independent production made possible with the precious help and support of those who believed in the Project. In addition Lisa's talents, determination and thoughtfulness, in instigating the initial crowd funding scheme (wwwbalentesfilm.com), rounded off what has resulted in a successful widely acclaimed Project. One may very well ask, who the “Balentes are? They are all those Sardinians (men & women) who have and continue to stand up against superior forces to uphold their rights and to proudly defend their land, using the strength that comes from their roots and from their thousands year old history. They are those who oppose a Government which turns a blind eye to the suffering of those many mothers who have witnessed their children die from cancers and leukaemia after having worked in the military bases and forced to handle lethal materials, all which is happening to this day in the infamous "Salto di Quirra - Weapons Testing Range". There are many Court cases currently underway seeking a just compensation, whereas the splendid beaches of "Capo Teulada" are closed to the local population and tourists. 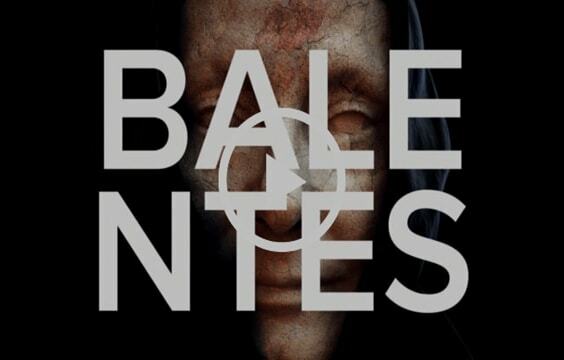 "Balentes" is a call to arms, with the documentary designed to stirring up consciences, not only for the Italians in this Sardinian case, but also providing encouragement to all the suppressed and exploited minorities of the world. In this context the documentary also makes reference to the precious lesson which can be learned from Australia's own indigenous population. 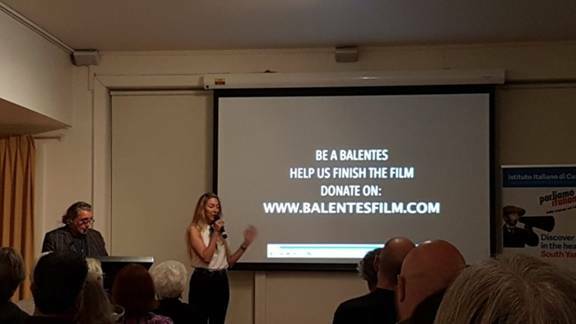 In 2019 Lisa will release the "Balentes" story in book form, in collaboration with the publishers "Ponte Alle Grazie"
Film director Lisa Camillo brings her feature-length documentary “Balentes – the Brave Ones” to Australia for 33 showings in the best theatres in the major cities this September and October: Sydney, Melbourne, Canberra, Brisbane, Adelaide and Perth. Lisa Camillo, italo-australian film director, writer, anthropologist, brings her daring and controversial film back to where it was born and developed. A revealing feature-length documentary, which breaks the long silence on the exploitation by the Italian Government of its Sardinian island, treated as one big firing and bombing range, which in reality is a paradise island off the coast of Italy, as big as Sicily and Tasmania. It was a courageous choice that of Lisa, to produce such an whistle blower documentary, which will cause a big stir in Italy, and which begins its distribution in Australia by Palace Cinemas in the Lavazza Italian Film Festival (https://www.italianfilmfestival.com.au), arriving at its nineteenth edition. Lisa will also be part of the jury for the Bvlgari Critics' Choice Award. Come and join the director Lisa Camillo at the Premiers of Sydney at Palace Norton Cinema on Sun, on 16 Sept at 6:15PM followed by Q&A; and of Melbourne at Palace Cinemas Como on Fri, 21st Sept at 6:45PM followed by Q&A. "Come with family & friends to Celebrate the SCA's 31st Anniversary"
The SCA, one of the many Cultural Groups within Banyule's rich Multicultural Community, is proud and thankful to partner with Banyule Council, in presenting this Exhibition in the context of the "Storytellers from the Banyule Art Collection - Autumn/Winter Banyule Arts & Culture Program". It is not the first time that the SCA collaborates with Banyule Council, as in 2009 a similar partnership saw the painting of the Mural titled "The Continuing Journey", which still resides at the Post Office car park wall of Rosanna Village in Rosanna. Many thanks go to Paola and Luca, two relatively recent young Sardinian arrivals, for their dedication, passion and efforts in presenting you “Su Carrasegare / Beyond the Masks". This Exhibition will accompany you in an exciting journey of discovery of the beliefs and rites of pre-Christian Sardinia. You will see powerful images of the archaic masks and costumes still used today during Carnival, su Carrasegare, in the villages of Barbagia in the Sardinian Island, in Italy. The etymological study of the origin of Sardinian words assists us recapture the long lost meanings associated with these haunting masks, costumes and rituals. The 12 fascinating photographs realised by the photograph Luca Pisci want to tell something hidden until now and recently discovered thanks to the support of “Progetto Sa Sartiglia” and the analysis of the prof. Dedola (https://sasartiglia.com), source of inspiration for the photograph who soon we’ll be back in Italy to realise the second reportage about the carnival masks. The project has been achieved thanks to Paola Steri, Graphic Designer with has curated this exhibition in collaboration with Banyule council and thanks to the Sardinian Cultural Association which, during the Opening night, some members of them will wear the folkloristic costumes of their Island. Celebrating Sardinia’s National Day "Sa Die de sa Sardigna"
The Italian Institute of Culture in Melbourne will host an evening with the author of the documentary “Balentes” a poetic story about Sardinia today and yesterday. After 101 editions, it will be the very first time Targa Florio will take place out of the Italian island of Sicily. The Confederation of Australian Motor Sports (CAMS) has designed a 4-day itinerary in regional Victoria (Geelong, Bellarine Peninsula, Surf Coast, Mornington Peninsula, Phillip Island, Yarra Valley) and Melbourne. A Celebration of Sardinian & Tuscan Cuisine - Una Celebrazione della Cucina Sarda e Toscana. Booking required by 11 September. The fourth annual Forum on workers' rights, labour market and career development in Australia dedicated to newly arrived migrants and young professionals. Come and celebrate Sardinia's national day with good food, good company and entertainment. Download the flyer here. A very important day in the history of the Assisi Centre. The day will be filled with entertainment, food and activities. One of Italy’s foremost intellectuals speaks on the giants of Italian culture, Prof. Remo Bodei. Seguendo le posizioni di alcuni “medici-filosofi” francesi (Théodule Ribot, Paul Janet e Pierre Binet), che alla fine dell’Ottocento avevano distrutto l’immagine di un io monolitico e di un’anima immortale, Pirandello ha spinto sino al virtuosismo l’analisi delle scissioni della coscienza, ha descritto il prodursi di personalità sdoppiate o multiple e ha trattato con acume le fratture e le deformazioni psichiche. Ha così sperimentato le configurazioni della coscienza scissa di un individuo, simultaneamente o alternativamente sedotto dalla tranquillizzante sicurezza di essere “uno”, dall’angoscia e dallo sconcerto di accorgersi di essere “centomila” e dal sollievo derivante dall’ascetica decisione di azzerarsi per essere “nessuno”. Ben sessanta opere di Pirandello – tra racconti, romanzi e drammi – trattano della scissione (duplicazione o moltiplicazione), della perdita (vera o simulata, come nel romanzo Il fu Mattia Pascal) che scopre di non essere unica e compatta. La società ci incatena al principio di individuazione perché vuole vincolarci alle nostre azioni e ai nostri pensieri (in quanto preludi all’agire), fissarci a un unico e permanente io. La natura fissa ciascuno in determinate fattezze corporee, attribuendogli determinate ascendenze familiari; la società pretende poi di classificarlo secondo propri parametri. Entrambe, però, cospirano nel trasformarlo in un “individuo”, perché lo vogliono – alla lettera – indivisibile e sempre uguale a se stesso, ossia “integro”, cosciente, responsabile. Italian philosopher Remo Bodei, now professor emeritus at the University of Pisa, has taught for many years at the Scuola Normale Superiore of Pisa and at the University of California, Los Angeles. He studied for many years in Germany and taught in various European and American Universities. He is a Fellow of the Italian Academy at Columbia University and of the Italian Accademia dei Lincei. His scientific interests were initially focused on German classical philosophy, then on political philosophy; in the last two decades, he has concentrated on the theory and the history of oblivion, delusion, and individuality, and on the nature of passions and desires. His books have been translated into fifteen languages. It is with great pleasure that the SCA, in collaboration with the Toscana Social Club (TC), invites you to the above mentioned lunch, which is held at the Clubrooms of the TC- 273 Victoria Street, Brunswick , easily accesable by Public Transport. The lunch commences at 12 noon and is partially subsidised by the TC, the cost of $25 per person includes a three course meal with beer, wine and soft drinks. Whilst the lunch is attended by many pensioners the SCA, through its relaunched "Next Generation Giovani" initiative ,also invites any recently arrived Sardinians to come along meet other Sardinians and join our "Social Media" network. Esigenze alimentari speciali devono essere informati al momento della prenotazione. The SCA Committee has decided to celebrate this important occasion, the 29th Anniversary of the SCA, at the new Pomodoro Sardo, managed by the Sardinian chef, Stefano Rassu, in the city centre. Bookings are absolutely essential by 12 August 2016 through Angelo Ledda 0418 330 573. News: "Giovanni Coda vince ancora"
Bullied to Death depicts a 24 hour performance against homophobia through the real stories of teenagers worldwide that experience severe bullying episodes at school, from their own families and on the web, as a result of their coming out about their sexuality. "Aveva quattordici anni quando, nel 2011, si è tolto la vita per esasperazione e isolamento: esasperato dalle minacce di chi lo perseguitava; isolato perché nessuno poteva aiutarlo. La sua colpa? Essere gay. Un episodio agghiacciante che è stato dimenticato in fretta. Il regista cagliaritano Giovanni Coda, già al TGLFF 2013 con Il rosa nudo, ne ricorda la dolorosa memoria, dando voce a chi, come J.R., è stato vittima dell'omofobia. Con un film sperimentale che combina cinema tradizionale e videoarte." Paolo Angeli will perform beautiful music using a unique 18-string guitar of his own devising. Special price ONLY for IIC Members and students: $30.30 To get the promo code please contact the IIC; non IIC Members: $45.30 / $38.30 (price includes Italian Aperitivo). Nomit is pleased to announce ITA.Lab: a new Italian indie hub in town. I am writing on behalf of the new not-for-profit association called Nomit. We are committed to assisting the new wave of Italian migrants and renewing the representation of the Italian culture in Melbourne. We thought of reaching out hoping we could join forces to connect Italians and Australians, older and younger generations, thanks to our common passion for Italian culture. As part of our mission, we are launching a new program of educational activities (Italian language and culture classes, attached). We are sure second and third generations' Italians could particularly benefit and enjoy from them. Cerchi lavoro? Lo hai ma vorresti migliorare le tue prospettive professionali?.... Vuoi uscire dal tunnel dell'hospitality?? - networking con imprenditori e aziende locali. Tutto questo, e molto altro, in un evento GRATUITO, che si svolgerà il 2 Maggio, alla KATHLEEN SYME LIBRARY & COMMUNITY CENTRE (Carlton). "SA DIE DE SA SARDIGNA"